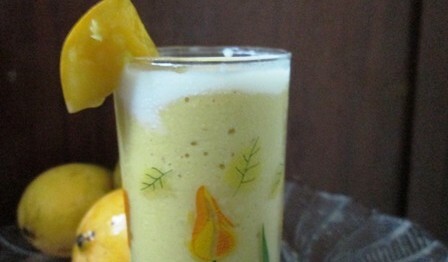 Here is a refreshing Mango drink/smoothie recipe. Mangoes are high in fiber and low in calories. This is both delicious and nutrious! Kids will love these! 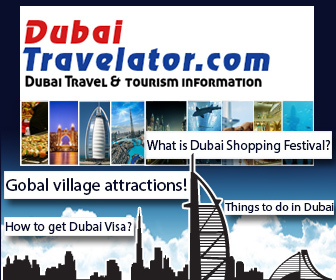 Peel off the skin of the mangoes and cut into pieces. Boil the milk and allow to cool. Then refrigerate the milk until it is fully set, about a hour. Take it out of the fridge and then smash it well and then blend it well in a blender. Again refrigerate the blended milk until it gets set. Take the milk out and smash it. 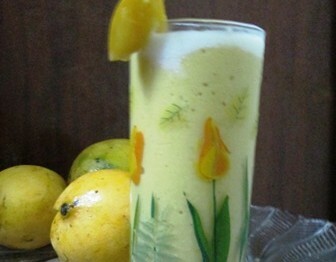 Now add the mango pieces, Horlicks, sugar and cardamaom powder and the smashed milk in a blender and blend together. 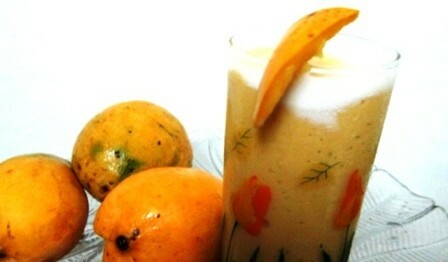 Fresh and Easy Mango smoothie is ready. Serve chilled!